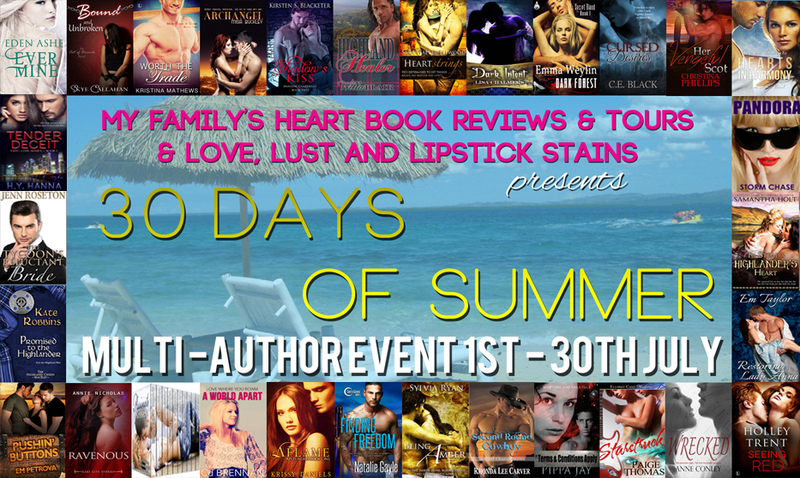 30 Days of Summer Tour & Giveaway~ Tender Deceit by H.Y. Hanna. Following her father’s mysterious death in Singapore, Leah leaves her life in London and returns to the island that was her childhood home. Toran James may have been the boy her fourteen-year-old heart yearned for, but the enigmatic man she meets upon her return is nothing like her memory, and the past holds more secrets than she realised. Was her father’s death really an accident? Someone is out to silence Leah – and that someone might be the man she is rapidly falling in love with…again. Fast-paced, action-packed romantic suspense filled with intrigue and sizzling tension – a perfect summer read! * This is the first part of Leah & Toran’s story, which continues in Book 2: Tender Treachery – coming soon! “Quiet!” a voice hissed, as a hand clamped over her mouth and Leah felt herself pressed against a hard, male body. Muscular arms folded around her like a band of iron. She tried to scream again and struggled, kicking back with her heels. She heard a sound of annoyance and the hand fell from her mouth for a second. Before she could scream again, a voice she recognised spoke urgently in her ear. He let go of her, then strong hands gripped her shoulders and gave her a sharp shake. Her head snapped back and her scream was cut off. Leah staggered backwards, staring at the man in front of her. He glanced around, then moved swiftly, taking her right arm and leading her towards the building entrance. She stumbled along beside him, trying to keep up with his long strides, as they passed through the lobby of the building and headed towards the lifts. “Get in,” he said tersely as the lift doors opened. The look on his face scared her. This was not the boy she used to know, but a man who could be dangerous. Very dangerous. She stepped into the lift and stood well away from him as the doors swished shut after them, and the hum of machinery told her that they were ascending. “Where are we going?” she demanded. “Oh, really? You mean you don’t always attack your dates and maul them as soon as you see them? I guess I should be honoured that I get that special privilege!” She was angry now—angry at how scared she had been, angry at his strange behaviour, maybe even angry at herself for feeling a thrill of excitement when she had been pressed up against his body. She remembered the way his chest felt, hard under her hands, and the rough thrust of his thigh against hers, and her face burned. Whatever it was she had expected to feel when she saw Toran James again, it wasn’t this raw attraction. “Don’t be melodramatic,” he said. “I’m sorry. I didn’t mean to hurt you. I just… Someone might have heard you scream and—” He broke off. “And what?” She raised her eyebrows. The lift pinged and the doors slid open. “Come on,” he said, putting a hand to her elbow. The doors had slid shut again. Suddenly, the lift seemed a lot smaller. Leah felt a flare of panic. What was she thinking, confronting him here in this tight, airless space? She flew towards the controls, but he stepped forwards, blocking her with his body. His hand shot out and gripped her wrist. Leah felt herself pulled up against him, pressed once more against the taut, muscular length of his body. She gasped, throwing her head back. The pad of his thumb brushed against the soft skin on the inside of her wrist and a shudder of awareness ran up her arm. “I’ll explain, but not here. Not now. You have to trust me.” His green eyes burned into hers. H.Y. Hanna was born in Taiwan and has been a globe-trotter most of her life, from growing up in the United Arab Emirates to attending school in New Jersey, from working in the glamorous world of London advertising to emigrating Down Under. Along the way, she somehow managed to pick up a wonderful husband, a huge, slobbery dog, two rescue cats, an assortment of cardboard boxes and a slightly dodgy “trans-atlantic” accent. After graduating from Oxford University, she tried her hand at a variety of jobs before returning to her first love: writing. 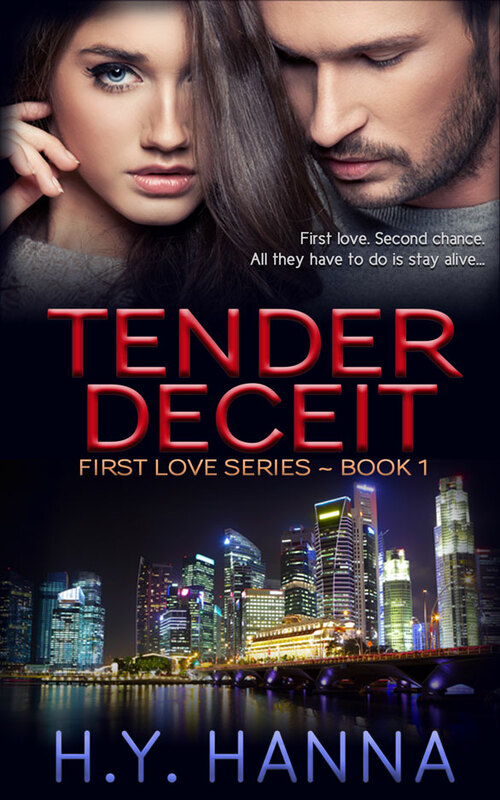 She’s the author of the Amazon bestselling children’s mystery series, Big Honey Dog Mysteries, and is now diving into the world of romantic suspense with the launch of Tender Deceit, Book 1 in the First Love Series. You can find out more about H.Y. Hanna and her books at: http://www.hyhanna.com or find her on Facebook at “H.Y. Hanna” or the Big Honey Dog Mysteries Facebook Page.